Knowing a variety of emergency signals is crucial to your survival in an SHTF situation. Unfortunately, many preppers either forget about this or don’t believe it will happen to them, which means that they don’t have the knowledge that could have easily saved their life (and the lives of others) in an emergency. These emergency signals help save you in a variety of circumstances, such as being stranded or when communicating with a rescuer that speaks a different language. Some of these are also crucial for understanding if FEMA’s been in your home, and how to protect yourself from a potential threat. You can also use these emergency signals if you find yourself stranded on an island, or lost in the mountains (however we have more helpful tips on that here). Knowing some of FEMA (Federal Emergency Management Agency)’s signals could not only help you understand them if you see them written on people’s houses (or worse – yours), but this knowledge can also help you to create one of these signals yourself if you’re in a sticky situation. This is the mark FEMA officials spray-paint on a building as they enter. It shows outsiders that the home/building is currently being searched. This marking warns others not to enter, as there are potentially hazardous materials inside. These FEMA symbols could seriously help you in a survival situation; for instance, seeing a single line on your home warns you not to enter, and to instead find an escape route without being seen. Or, if you know that homes around you are being searched, you may be able to prevent your home from the same fate by creating the “X” symbol (shown in #2) on your house. Be sure to spray it in the same color as the FEMA officials to avoid arousing suspicion. There’s a variety of ways you can visually signal for help in an emergency. This is the most common way of signaling for help; it creates an easily visible way to alert others that you’re in danger. Hint: Smothering your fire with green leaves or moss turns your smoke a white color, while oil-soaked rags on top of a fire will turn the smoke black. Make sure that your smoke contrasts with the background/sky in order to increase visibility. 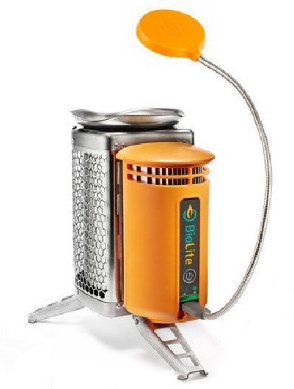 Make sure to utilize the resources around you to build your fire, and be sure to carry some kindling/fire starter in your EDC to give you the best chance at using this method. Flares are a great way to be seen by planes, boats, etc. and are internationally recognized as a signal for help. 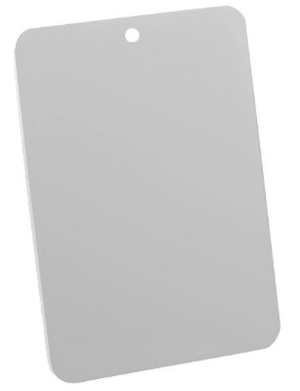 Signal mirrors, when used correctly, can effectively signal for help from the air. If you’re out of signal mirrors, shiny, reflective materials (such as tin cups, CDs, or even a belt buckle) can also work well in a pinch. Flashlights can also be great survival tools to send SOS signals to planes and helicopters. 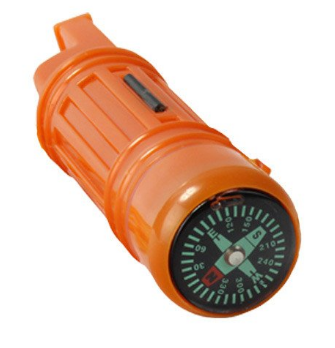 Some survival flashlights even have a “Strobe” setting, allowing you to indicate that you’re in an emergency situation to the pilot. 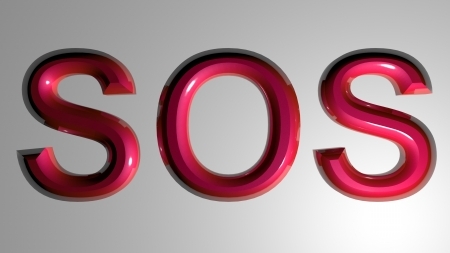 You can also use any type of flashlight to make an SOS signal. For those who don’t know, this internationally recognized distress signal is performed by making three short pulses of light, then three longer flashes, then three short pulses again. If you’re a visual learner (like me), here’s a short video of how to perform the SOS signal with a flashlight. The video shows the signal being performed twice. Brightly colored items, such as clothing, tarps, etc. 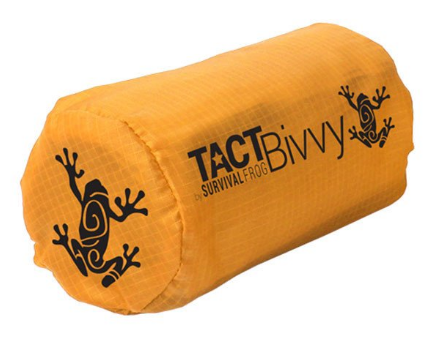 can be of great assistance to you in a survival situation. Tie these to the tops of trees, or spread them out in a clear area where they can be easily seen. In some cases, gun shots can be fired to call for attention. However, make sure you have plenty of ammo; you don’t want to be firing your last shots for this unless you absolutely have to. Survival whistles can also be great audio signals to call for help. Make sure to get a super loud whistle, and to blow three long blasts, pausing in between each set of three. Truth is, there’s plenty of survival tools you can use to help you get found in a survival situation. However, your survival gear is only worthwhile if you choose to bring it with you. 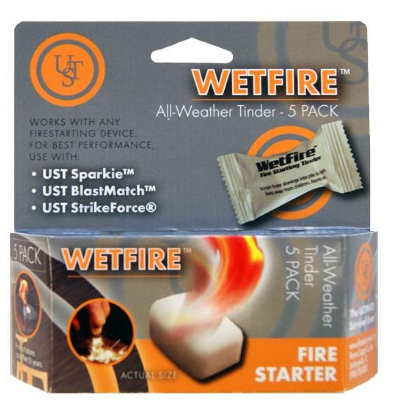 Too often people either don’t plan well enough ahead, or don’t believe they’ll end up in an emergency situation where they’ll need these precious survival tools. As you can guess, this short-sightedness costs them big time when they end up in a crisis. However, you can be smarter than those people – you can make sure that you have all the survival tools you need ahead of time, and you can make sure that you survive once a crisis hits. 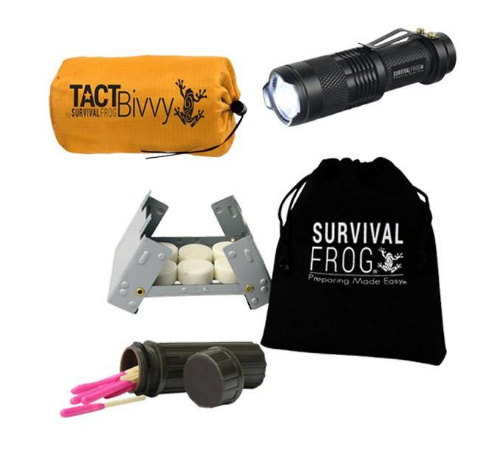 We here at Survival Frog want to help you on this mission – that’s why we’ve got tons of survival gear that’ll help you get rescued in an emergency (see below). You can also browse our entire survival store right here. Remember – YOU have control over how well you equip yourself for an emergency! So Prepare Now, Survive Later! This entry was posted in Emergency Preparedness, Emergency Survival, SHTF, Survival Hacks, Videos and tagged DIY, DIY Survival, survival on December 1, 2016 by Survival Frog.